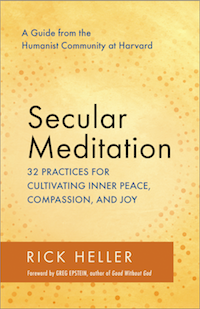 In my forthcoming book, Secular Meditation, I discuss what leads to life satisfaction. I refer to a paper by Angus Deaton, who just received this year’s Nobel Memorial prize in Economics and co-authored by Daniel Kahneman, a previous recipient of the prize. Daniel Kahneman is a psychologist who won the Nobel Memorial prize in Economics for his contributions to the psychology of economic decision making. In a 2010 paper, Kahneman and the economist Angus Deaton asked the question, “Does money buy happiness?” They concluded that it was impossible to answer the question without distinguishing two factors that make up happiness: emotional well-being and life satisfaction. Clearly, mindfulness can affect moment-to- moment emotional well-being. Intriguingly, Kahneman and Deaton found that once a household had an income above $75,000, further income made absolutely no difference in people’s emotional well-being. It seems to me that, once your basic needs for food, shelter, clothing and health care have been met, mindfulness can be the secret to moment-to-moment emotional satisfaction. It provides a tool to shift negative emotions into neutral and shift the neutral toward the positive. So that’s half the secret to happiness right there. Daniel Kahneman and Angus Deaton, “High Income Improves Evaluation of Life but Not Emotional Well-Being,” Proceedings of the National Academy of Sciences 107, no. 38 (2010): 16489–93. It might seem like the mindfulness approach, which is nonjudgmental, would ask us to avoid evaluating our lives. But perhaps it’s too much to expect people to never compare themselves to others or to their life goals. Indeed, mastering meditation might be a goal, and wouldn’t it be useful to take stock once in a while to see whether you’re on the right track? But clinging to goals can be a major source of suffering. This is the wisdom of the Buddha’s “Second Noble Truth,” which I believe is perfectly valid on naturalistic grounds. Have goals, try to achieve them, but hold onto them lightly, and if it seems a goal is unachievable, don’t torture yourself over it.